Would you like to donate to my Kickstarter campaign to raise Puck awareness? 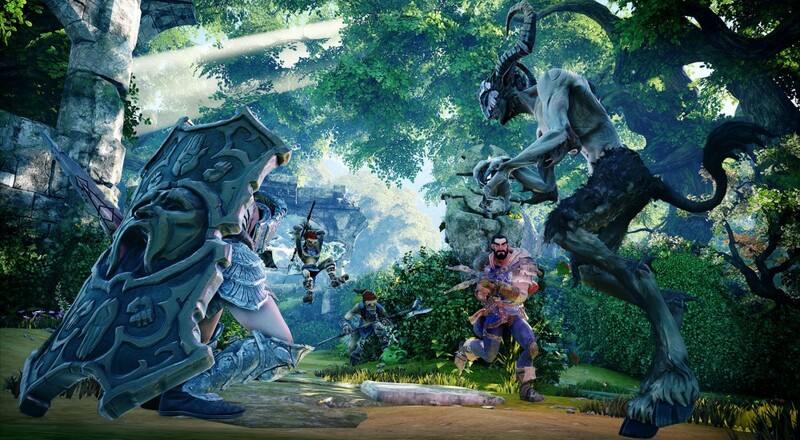 Fable Legends, the upcoming four player co-op from Lionhead Studios, is starting to shed the layers of mystery that surrounded it when it was first announced way back in 2013. Although its release date is still nebulous (by that I mean it'll be out sometime between this very moment and the next time the Cubs win the pennant, i.e. infinity), the developers have hinted that the game will drop later this year. Being a Left 4 Dead fanatic, I really enjoy the effort they're making to emphasize the sound that the Pucks make. I can already see myself shuddering slightly whenever I hear the vine...crunch...thing indicating that one's nearby. Normally, I'm not one to encourage wearing a scarf indoors, but this sound design fellow seems to have earned his right to. At the very least, I'll support it just so long as he exhibits proper indoor scarf safety. Overall, the game seems to be shaping up to be worth a look at the very least, especially if it's free. Be sure to keep checking back with us for a more specific Xbox One and PC release date. Page created in 0.2767 seconds.